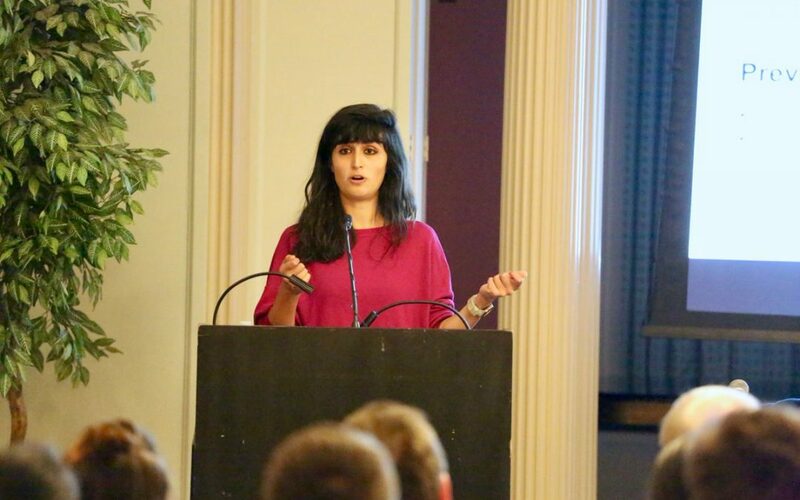 On November 27, 2018, S3MC Member Ceren Budak participated in a panel on fake news as part of the U-M Dissonance Event Series. The panel asked whether, two years after the 2016 election, we are winning the war against digital misinformation and manipulation. The participants discussed the technical and journalistic challenges of identifying fake news and manipulated information online, and assessed the effectiveness of the response by platforms like Facebook in the U.S., Europe, and around the world. An article in The Michigan Daily summarizes the research findings Ceren Budak shared with the audience at the event. Ceren spoke about her insights from the forthcoming book “Words That Matter,” which will be published in 2019. Together with several S3MC collaborators, Ceren analyzed Twitter data and public opinion polls to better understand political communication, election campaign dynamics, and the role of fake news in contemporary politics.